The Environmental Protection Agency (EPA) of Ireland has responsibility of implementation of the national lakes monitoring programme. There are 818 lakes designated as Water Framework Directive (WFD) water bodies in Ireland. However, the monitoring programme currently covers only 225 (Fanning et al., 2017). Additionally there is also a big knowledge gap and uncertainty in the ecological status of these unmonitored lakes (Wynne and Donohue, 2016). Earth observation data offers valuable information, but before extracting the right data for assessing lake ecology a substantial degree of expertise in image processing is required. Especially with respect to atmospheric correction. 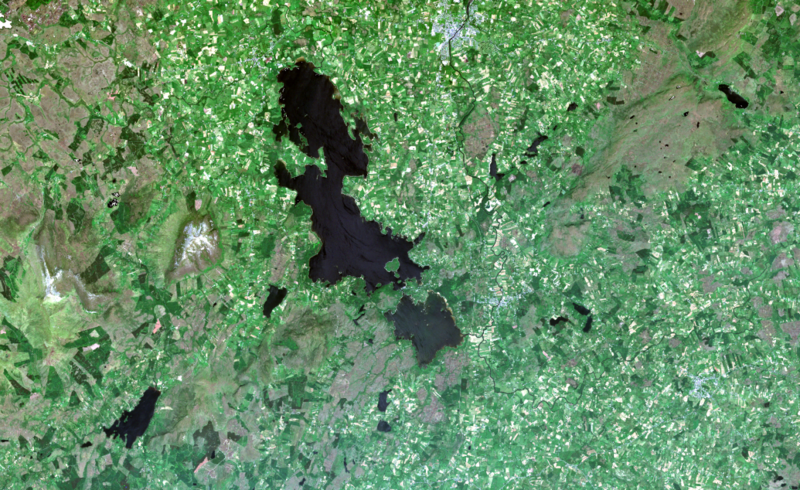 EPA is therefore teaming up with VITO Remote Sensing for the processing of Sentinel-2 images for all the Irish lakes designated as Water Framework Directive (WFD) water bodies. For the atmospheric correction of the data EPA and VITO will use iCOR, the atmospheric correction software. iCOR can be used to process a variety of airborne and satellite images of coastal waters, inland waters and land surfaces. Since November 2018 iCOR can also be used to process drone images collected above water. Results of the project will be delivered by end of the year.